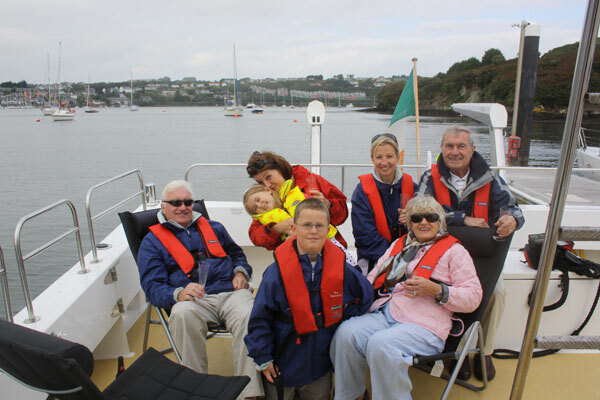 Celebrate your anniversary or gift your loved ones with a one of a kind Kinsale cruise. 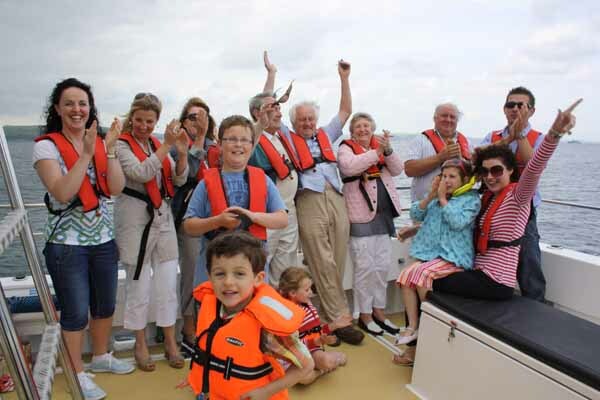 Feast on the spectacular scenery of Kinsale harbour before setting sail for the Old Head of Kinsale. Cruise past Charles Fort and James Fort and into Kinalse’s outer harbour to enjoy the breath taking views of the West Cork coast line. Take in the sights of Holeopen Bay caves, the Sovereign Islands and the quite majesty of the Old Head lighthouse. This magical place never fails to surprise with sightings which can vary from seals, and birdlife to playful dolphins and beautiful basking sharks. We will then drop anchor in the secluded Sandy Cove Bay and set up a delicious champagne picnic* for you and your loved ones to enjoy. Toasting your anniversary in the midst of rolling cliffs to the lull of peaceful waters will ensure anniversary memories to treasure for ever.